Sometimes asking for help is the bravest move you can make. 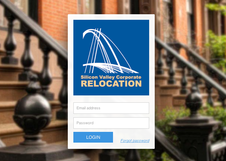 Silicon Valley Corporate Relocation, LLC (SVCRelo) provides a variety of destination services, covering all aspects of the domestic and international relocation process to Silicon Valley, California. While providing services to individuals and corporate relocation departments, we prioritize our focus on the needs of the transferee and his/her family by delivering innovative solutions, online tools, and personalized contact before, during, and after their move. As working parents ourselves, we understand the importance of catering to the whole family unit, to ensure a smooth transition to the new environment ​and the least amount of stress possible for everyone involved. 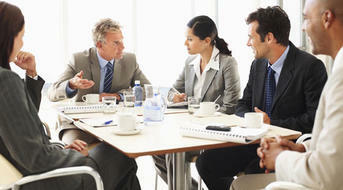 ​Helps us better understand the needs of our clients/potential clients. There is no charge or commitment for filling out our evaluator form, and all information is kept strictly confidential. ​Allows our clients to review rental home details as soon as they become available on the market. If you are an SVCRelo client and do not have access, please contact your SVCRelo Relocation Specialist. We provide complete support during the hiring/relocation process by showcasing Silicon Valley and its surrounding areas as the premier area for working/living. We partner with an extensive network of professional service providers to cover all of your and your transferee's needs. We support the transferee and his/her family during (and after) the entire relocation process. Congratulations, you are moving to the beautiful Silicon Valley! We are excited for the opportunity to help with your relocation by providing you and your family with a sense of security and reducing the stress usually involved with moving to a new home. We pride ourselves in offering a flexible package of relocation services, which will allow you to select only the services you and your family need. Our relocation process is as easy as 1, 2, 3...with phase 1 being 100% FREE and requiring no commitment. Just pick up the phone, send us an email, or fill out our online SVCRelocator Evaluator Form to get the ball rolling. The services in this phase are *100% FREE, and require no commitment from you. you and your lifestyle, so we can help you determine which of our personalized services are the best match for your situation. Select one service, or select them all. In the end, we want your relocation process to be as stress-free as possible. Whether you need help finding the right city, community, rental property, or all three...we are focused on helping you find a new place to call home. We also understand the importance of spending time to help you get a feel for new communities, schools neighborhoods, local resources (medical centers, parks, etc.) and other topics of interest (weather, commute time, etc.). ​utility company/government compliance appointments (ie. : DMV and social security), and much more. Our goal is for you to feel completely at home in your new community.